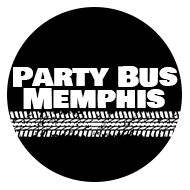 Party Bus Memphis is proud to be in business serving the entire area surrounding Memphis, including Shelby County, Tipton County, and Fayette County. We are licensed and insured, and well-trained to provide you with the greatest experience possible on the road. We serve all kinds of destinations within Memphis, including all of the wonderful museums and parks that are featured in this area, plus all of the local festivals and other attractions. No matter where you're going, Party Bus Memphis can provide you with safe, reliable travel services for 16 to 35 passengers per bus! We've got a huge fleet of buses for you to look at, and if you'd like to see them in person you can come right down to our lot and check them out! Otherwise you can give us a call and we'll choose the perfect bus for your trip. Whatever questions you may have, please don't hesitate to contact us. We look forward to your call! If you have not found what you're looking for on our about page and need party bus and limo service in other areas visit our friends across the country at Detroit Limo, For Ann Arbor click here, For Royal Oak click here, or if you need anywhere in Cincinnati click here.